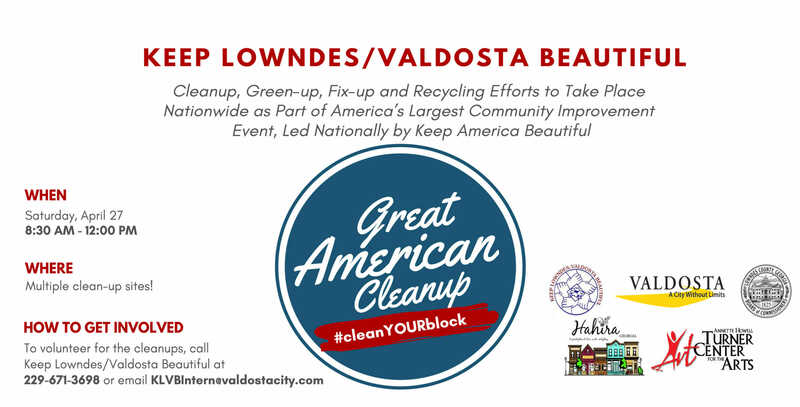 Keep Lowndes/Valdosta Beautiful, the City of Valdosta, Lowndes County, the City of Hahira, and the Annette Howell Turner Center For The Arts are joining forces with several local organizations and volunteers for the Great American Cleanup. “This year we will again be working multiple sites,” said H. Aaron Strickland, Executive Director of Keep Lowndes/Valdosta Beautiful. “We have cleanups and projects planned in the City of Valdosta, Lowndes County, Hahira, and at the Turner Center For The Arts . Since we are having multiple sites for this event, we are asking those who would like to volunteer to call or email the K.L.V.B. office so they can be assigned to one of the locations. This method allows us to plan effectively for volunteer placement.” The Great American Cleanup will take place from 8:30 a.m.—noon on Saturday, April 27. “We’re hoping for at least 100 volunteers. We’ve got a lot to do. We are trying to improve our communities, and this is an event that everyone that can participate in,” said Strickland. 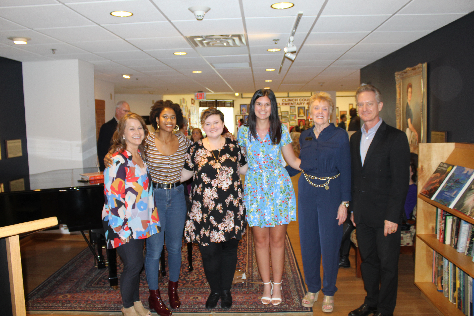 The Annette Howell Turner Center for the Arts hosted several hundred members, donors, artists and guests for the 32nd Annual Spring Into Art opening gala on April 8. Local artist and Valdosta State University graduate Mary VanLandingham earned the Best in Show for her oil painting, “The Last Day.” For a listing of other award winners, visit turnercenter.org. The exhibition is open for the public’s enjoyment through June 5 at no cost. 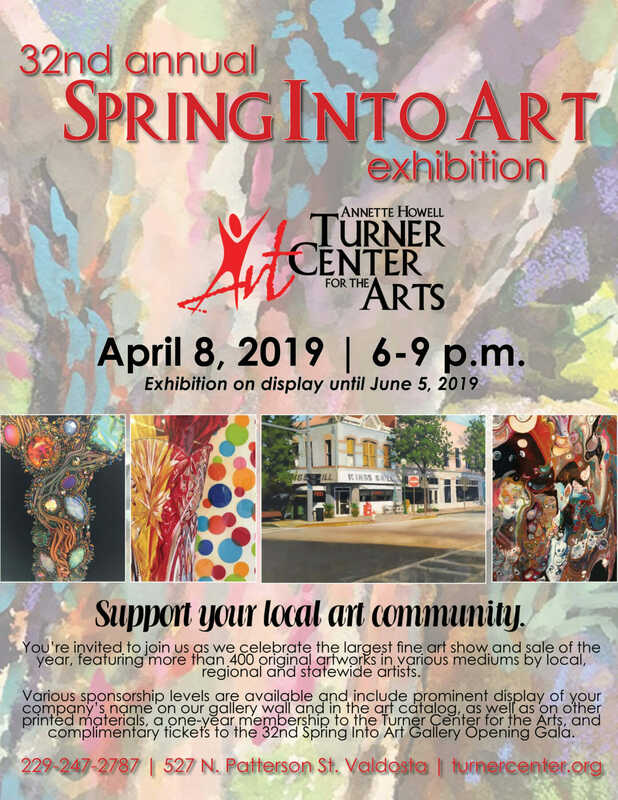 For more information on Spring Into Art or upcoming gallery exhibitions, contact the Turner Center at 229-247-2787 or visit us at 527 N. Patterson Street in Valdosta. 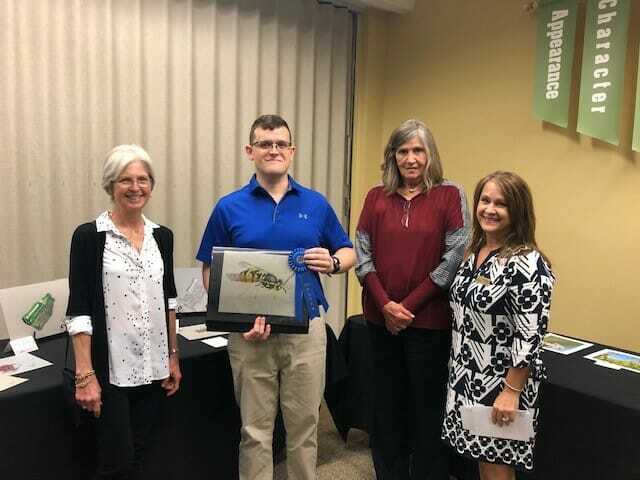 The Annette Howell Turner Center for the Arts was proud to partner with Wiregrass Georgia Technical College for it’s Arts in Education contest on Tuesday, March 26. The first place winner was awarded $150 as well as entry into the Turner Center’s Spring Into Art exhibition. First, second and third place winners also received tickets to the April 8 event. For more information on how to get your tickets to the Spring Into Art gallery opening gala on April 8, please visit our Spring Into Art page at turnercenter.org. You can also call or visit our offices at 229-247-2787, 527 N. Patterson Street in Valdosta. Nearly two dozen students from Perry High School, Georgia, in grades 10 through 12, visited the Annette Howell Turner Center for the Arts on March 22, 2019. The AP students and teacher Cathy Heller traveled by bus to Valdosta to view the Youth Art Month exhibition and more specifically the 2019 VSU Invitational High School Art Competition in the center’s galleries. While at the arts center, students were treated by staff to a Black-Out Poetry workshop, which taught the students the concept that art that effectively tells a story is compelling, interesting and engaging. Heller and her students traveled more than 125 miles to visit the art center, evidence of the regional impact the Turner Center has on the local and state arts industry. For more information on local arts, visit www.turnercenter.org. The Annette Howell Turner Center for the Arts is preparing for its largest fine art show and sale of the year, on display from April 8- June 5, 2019. 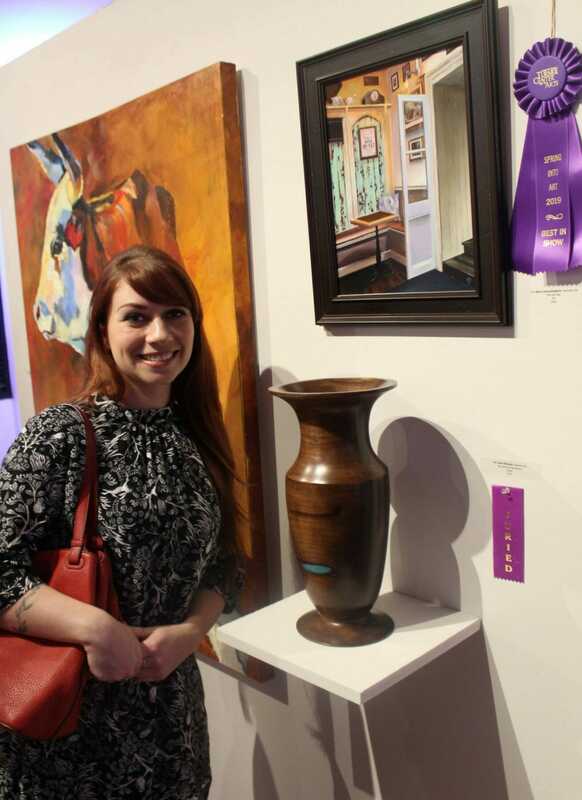 The 32nd Annual Spring Into Art exhibition will feature more than 400 original artworks, in various mediums from regional and statewide artists. Local businesses that may be interested in supporting the arts in the community are invited to participate as sponsors, giving them the opportunity to have their name prominently displayed on our wall, within the SIA art catalog and on various other printed materials, as well as a 1-year membership at the Turner Center and complimentary tickets to Gallery Opening Gala on April 8 from 6-9 p.m.
For more information on Spring Into Art sponsorship opportunities or if you are interested in purchasing tickets to the Spring Into Art Gallery Opening Gala, please call us at 229-247-2787 or visit turnercenter.org. 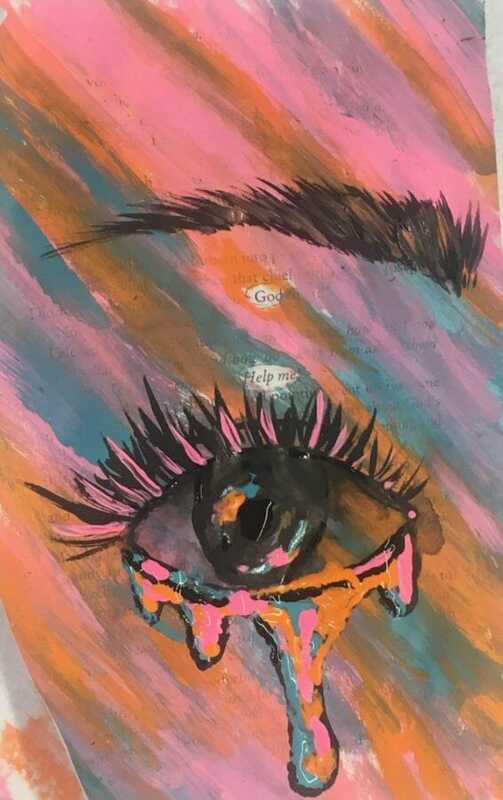 Nearly 1,000 student art works are on display at the Annette Howell Turner Center for the Arts, representing approximately 50 regional schools for Youth Art Month. One of three parts, the Valdosta State University Invitational High School Art Competition awarded 14 Honorable Mentions: Sara Grace Skinner (Berrien High School), Hannah McLean (Berrien High School), Anahi Valencia (Brooks County High School), Abigail Sadler (Central High School, Carrollton, GA), Haley Thompson (Central High School, Carrollton, GA), Daniella Cruz (Coffee High School), Devin Cherry (Hamilton County High School), Halle Gandy (Lowndes County High School), Jaliyah Brantley (Lowndes County High School), Jaliyah Brantley (Lowndes County High School), Wenting Ou (Lowndes County High School), Camille DeGuevara (Peach County High School), Megan Schminky (Thomas County Central High School), Charles Kugler (Valwood School), 3 Top Placements: Avery Barnett (Berrien High School), Kenzie Freeman (Lowndes County High School), Ashlynn Runyon (Perry High School), and a Best In Show: Abigail Sadler (Central High School, Carrollton, GA). The Turner Center for the Arts invites the public to visit the Youth Art Month Galleries, on display until Wednesday, March 20. For more information on the current galleries or other services offered by the Turner Center for the Arts, please call 229-247-2787 or visit turnercenter.org. The Public Art Advisory Committee (PAAC) along with local government, the Valdosta-Lowndes County Airport Authority, the Turner Center for the Arts and the Lowndes/Valdosta Arts Commission board members unveiled the first major piece of public art at the Valdosta Regional Airport on Thursday, Feb. 21. 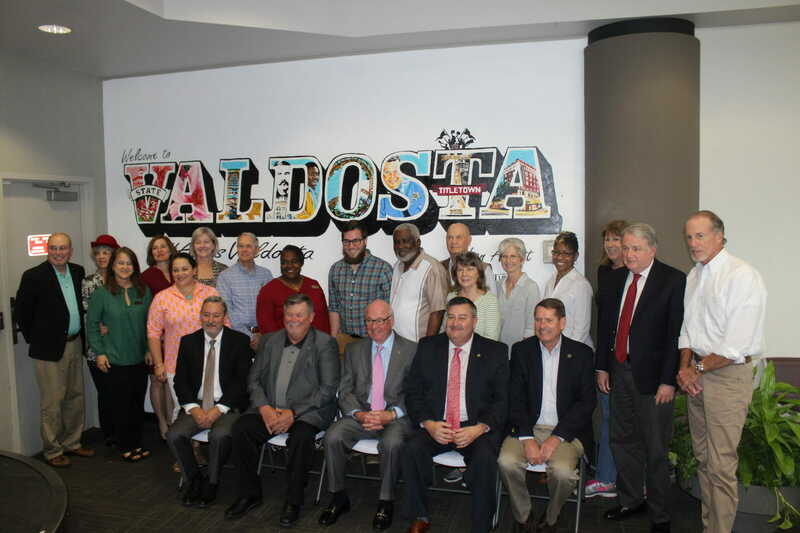 The mural, featuring various iconic events and people within each letter of the word “Valdosta” will warmly welcome visitors and returning community members to the area when they retrieve their luggage. The mural also features the hashtag #ArtsValdosta in hopes that people will be inspired to take a photo of themselves in front of the airport mural, as well as any other art locations in the community, and then post them to the social media site. For more information regarding public art or the PAAC, call 229-247-2787 or visit www.turnercenter.org. 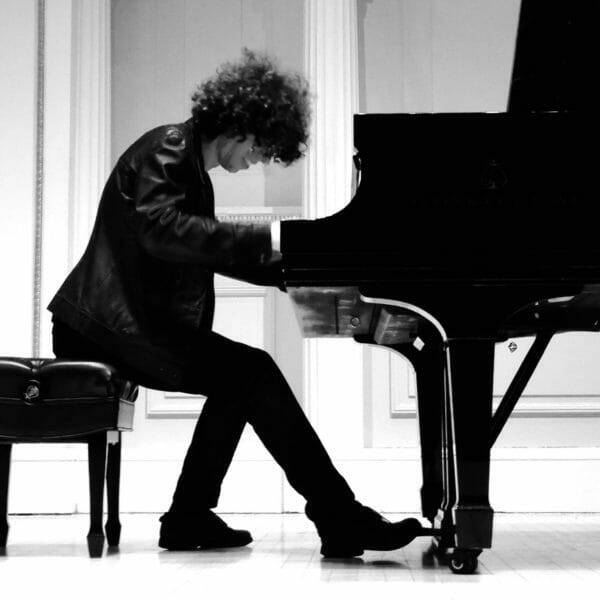 The Annette Howell Turner Center for the Arts is honored and excited to host internationally renowned pianist Julian Gargiulo on Saturday, January 26. Gargiulo will perform twice on Saturday with a free student concert at 10:30 a.m. (recommended for ages 8-14) and the evening performance for adults at 7:30 p.m.
Steinway Artist Gargiulo is a pianist, composer, and recording artist who has performed in the United States, Canada, England, Italy, France, Germany, Greece, Russia, Singapore, Philippines, Thailand, China, and Australia, with regular performances at Carnegie Hall (US), United Nations’ Dag Hammarskjöld Auditorium (US), Moscow Conservatory Hall (Russia) and many more. Reserved ($30) and general admission ($20) seating is available on-site, over the phone or online at 527 N. Patterson Street, 229-247-2787 or turnercenter.org. For more information, call 229-247-2787. 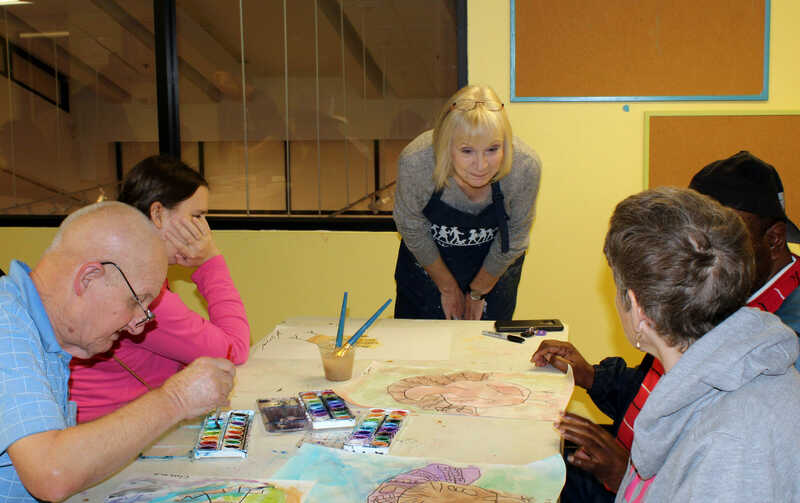 The Turner Center for the Arts hosted an art-learning opportunity for 20 clients from Georgia Department of Behavioral Health and Developmental Disabilities, Turner County, on Nov. 14. The department is broken down into six regions; and Lowndes and Turner Counties, among others, fall into Region 4. Art Education Administrator Debi Davis (pictured above) planned and led the group in a holiday-themed painting workshop. “I always try to make sure the students are introduced to at least one art concept per workshop. We have students from Valdosta that have been coming for almost a year that have picked up on a variety of art concepts and are really learning to apply them well,” said Davis. For more information on regional opportunities or local classes and workshops, please contact our offices at 229-247-2787 or visit turnercenter.org. The Annette Howell Turner Center for the Arts hosted a Gallery Opening Reception recently for Florida-based artists Jill Cannady and Tim Ludwig. Ronald Zaccari enjoyed conversation with Cannady (both pictured above) at the Nov. 5 event, which followed the successful six-week exhibit of Zaccari’s 50-year collection titled, “Faces-Vases-Places.” Turner Center donors, supporters and patrons were able to interact with the two new exhibiting artists at Monday’s event, while learning more about the art and the artists. The selected art works of Cannady and Ludwig will be on display until January 9, 2019. All galleries are free and open to the public Tuesday through Saturday. 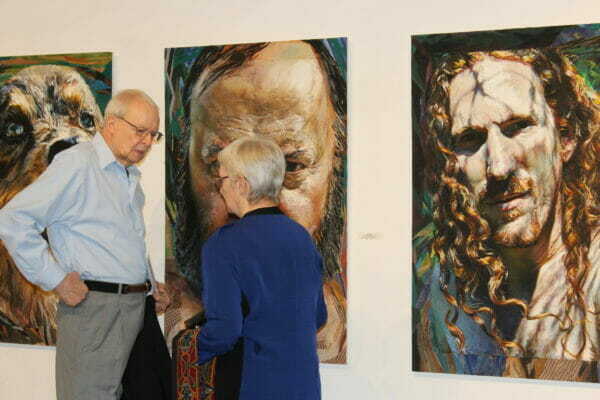 For more information about the Turner Center for the Arts’ current and upcoming exhibitions, please call 229-247-2787 or visit them at turnercenter.org. © 2019 Annette Howell Turner Center for the Arts. Sign up for our newsblast!